While others will post about fireworks or parties. 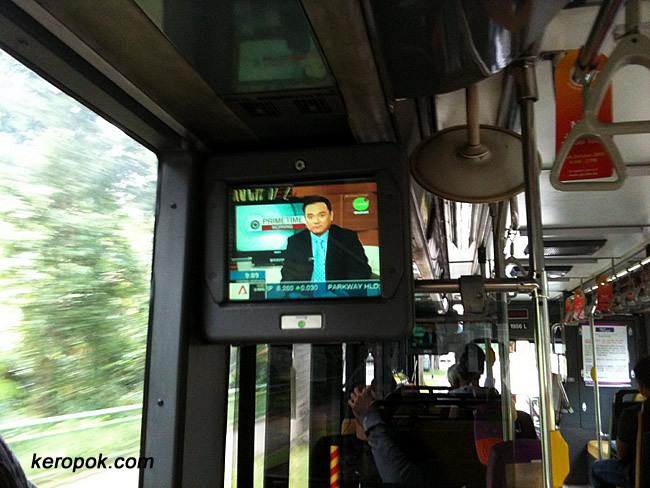 I will miss this on the Singapore buses! TV Mobile broadcast live television to buses, and the broadcast will on 31 Dec 2009. Though many find it a nuisance, but I find it entertaining. I will miss the "just for laughs". You can see many people laughing or smiling to themselves on the bus watching it. yah.. I miss the "just for laugh" show too.. really is mummy, it's over!!! What's that thing all covered in Green? Oh.. No queue for iphone at the "Green Camp"
I took the H1N1 Vaccination Jab..